Approximately 1,000 students are enrolled in the three schools operated by the Gasconade County R-1 School District. Children in kindergarten through grade 3 attend Hermann Elementary School. A middle school serves students in grades 4-8. A new high school opened its doors in 2000. The district is governed by an elected board of education. 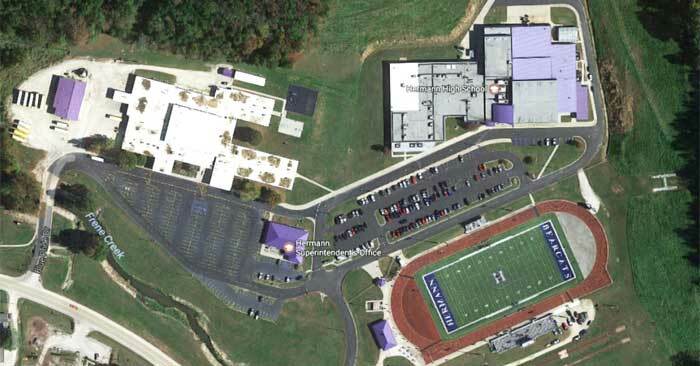 The assessed valuation of the school district is approximately $52 million. The school system operates on a budget of about $11.2 million annually. The district is fully accredited by the Missoun Department of Elementary and Secondary Education, with a rating of AA. Hermann is part of the Four Rivers Conference. Varsity teams compete in football, volleyball, basketball, track, cross country, golf, baseball and softball. Hermann girls are six-time state volleyball champions. 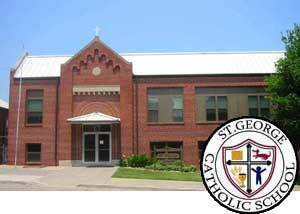 St. George School is a Catholic parochial school, accredited by the National Federation of Non-Public Schools. Located adjacent to St. George Church on West Fourth Street, the school serves some 200 students in grades K-8. St. George has an active student council and sports program. Teaching staff are certified by the State of Missouri. The curriculum is designed to foster spiritual, academic, physical and social growth. The school’s mission is to develop life-long learners and responsible global citizens.